This book has important information and current statistics on health disparities within the United States. It identifies our most vulnerable populations and offers guidelines on how to avoid cultural incompetence and promote cultural proficiency. Cultural Proficiency in Addressing Health Disparities will help us to address Healthy People 2010, which challenges individuals, communities, and professionals to take specific steps to ensure that good health, as well as long life, is enjoyed by all. This demands the ability to relate effectively to persons of many different cultures to assure collaborative participation in research (that must include minorities), clinical patient care and disease prevention. 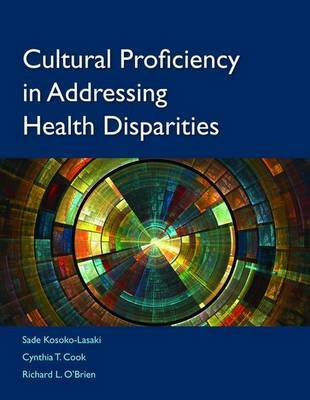 Cultural Proficiency in Addressing Health Disparities is written by experienced health care practitioners and researchers who work every day to eliminate health disparities and produce a culturally proficient health care environment for patient, practitioner, and researchers. Physicians, researchers, healthcare workers, health sciences educators and students, community workers, advocates, planners, policy-makers and similar professionals in non-profit and at the government level will benefit from the information, insights and experiences recounted in this book.